Well, not really. I wrote two books. And they’re not really books, but rather e-Books. In other words: they’re electronic. For those of you who haven’t gotten around to purchasing an expensive electronic device that allows you to read formerly non-electronic things, don’t worry. You can read e-Books on your PC or your Mac computer, or on your smartphone or iPad through the free Kindle app or on the iTunes Bookstore. Therefore, you have no excuse for not purchasing the books, unless of course you think they’re too expensive. To that I say: these books are three dollars. What the hell can you get for three dollars these days? A few Bic pens? A used DVD? Three dollars won’t even buy you those pull-back cars they sell at the grocery store, and believe me, even if it could, these books will entertain you for much longer. 1. Driving a Lotus without air conditioning from San Francisco to Atlanta. 2. Taking my E63 AMG wagon to a dragstrip in rural Georgia. 3. Buying a beat-up Land Cruiser with 240,000 miles from a public auto auction. 4. Attempting to evade police at the Tail of the Dragon using a pontoon boat. There are also car reviews and a few TTAC and Jalopnik stories reprinted. In all, more than 80 percent of the content (roughly equivalent to 200 pages in a normal book) is new. The new content is also highly entertaining, at least according to my girlfriend. I also once thought it was entertaining, but now – after editing everything ten million times – I would be more than happy to never again read or write another story about automobiles, and possibly never again ride in another automobile, and possibly never again see printed text. By the way, I’m working on getting this on Kobo for all you Canadians and northern Americans out there. Should be just a few more days. Just remember: if you hate it, I warned you it wasn’t about cars. You took this risk yourself. This catastrophic, life-changing, three-dollar risk. On a serious note, I really appreciate all the words of encouragement from everyone over the last few weeks and months. Now that these are done, I will return to my usual place of posting TTAC and Jalopnik columns as often as those websites let me. I’ll also start posting here more often. I let myself do that a lot. I don’t own a Kindle or Nook but my wife does. I swore I’d never fall into that trap… but I’ll be stealing it from her when I get home and buying your PWC book. Thanks – I really appreciate it! Let me know what you think! I have to warn you that if you try to publish the sequel to (I don’t know how to underline)Plays With Cars(this is where I would end the underline code) you shouldn’t use the title “Still Plays with Cars” because I have a t-shirt with that printed on it and I fear people may confuse your book with me. Specifically since, obviously, I’m the only person on earth to purchase that particular mass-produced shirt. I also may buy “From My Perspective” simply to see how far into I get before you mention the AMG despite the book not being car related. Congrats on being done with them. After writing a 24 page paper in college about my life with my car, I can say that the most rewarding part of the whole process was being able to not write it anymore. I can’t imagine writing for another 200 pages. I was an English major and I got my degree without reading a single book, which may mean I am a great intellect or that my school should have worked a little harder to fail me. And I have very rarely broken my vow of never reading books, but I’m going to have to break it again for these. Haha. I think I’ve SEEN that shirt. And thus, I’ve SEEN you! Depending on success I think the next one might be about working in the car biz. But I will have to carefully read over my non-disclosure agreements before I go there! No mention of the AMG wagon in the second book. Sometimes even Seinfeld didn’t talk about Superman. However it’s mentioned roughly 10 million times in the first one. I did this just for you. Thanks for breaking the vow. It was hard to overcome the steep $2.99 price tag, but I bit the bullet and bought it. Hah! Thanks. Hopefully you will find it to be worth all 299 pennies. While there is a plethora of car related content on the web, I find there to be a shortage of entertaining books about cars and the people that enjoy them. I look forward to reading yours! Thanks! I suppose we’ll see if you find it entertaining! Hmm. If it was based on how much money you “have” maybe I should’ve priced it a bit higher! Really, though – thanks for the support. I just bought your books. Now I’m broke. NOT! But I am accustomed to finding and reading such works for free on the internet. I look forward to reading these. $3 buys me more than enough McDonalds or Taco Bell to feel sick. It also can get me a new lego minifigure. That being said, I’m going to buy book 1. We’ll see how that goes before I determine book 2′s status…. Maybe I’ll ask for a refund on the book. Brian – thanks for the kind words. I promise I will have the car book on Kobo soon. It was up yesterday but the formatting was all wrong, and I didn’t want it to go out less than perfect. I’ll have it up again shortly. Congrats on the books! I just bought two copies of “Plays With Cars” (one for me, one for my friend). Here’s hoping they’re a success! Would you characterize “From My Perspective” as a book about nothing? Yes, and very much in the same way the website was. Each individual piece is about something, but the whole of it is very much nothingness. Holy crap! I would be way more pissed off about the Cadillac than the book! Sadly Amazon sets the pricing, so they must’ve bumped the price because of delivery costs in the Netherlands. I’m purchasing both right now. Congrats, Doug! Though I would prefer an old-fashioned paper version (for use in the Morning Reading Room), I will be buying the car book. But I may wait until it goes on closeout! Hmm, let this be my first foray back into the world of Doug DeMuro..
Also, there’s a ton of things you can buy for under $3 in India, so this has a lot to live up to. Jeez, three bucks? I may have to fire a Kickstarter off for this purchase. Who am I kidding, you had me at “I wrote a book”..
I’ll find the money when I vacuum the carpet tomorrow. Hah! Hope this indeed came true. You are some kind of demented genius. First you start posting on respected automotive websites such as TTAC and Jalopnik. Then you direct us to your own website where you post further content. Then you dangle this e-book in front of us for the paltry sum of $2.99(because in our minds it is now $2 instead of $3). But now that I’ve started reading your car book hate you for suckering me in to your little trap. You see, I’ve discovered that you are a member of the “millennial” generation. As a member of Gen X I am duty bound to despise all that you and the baby boomers that came before me stand for. No real reason, it’s just the way it is. So I find myself conflicted as I choke on my Yuenling, laughing at some silly thing you wrote in your book. Damn you for making me laugh, I’m supposed to hate your generation! Hey – I promise there are a few millennials who work hard and aren’t intent on living the rest of their lives by mooching off Gen X and the Baby Boomers. Although, since you’ve given me three dollars, I am clearly not one of them! I bought both books, and read them during my very long trip to San Antonio and back for work. Excellent work, and very entertaining in a “let me live vicariously through someone else that has more money and time than I do to do the things I would love to do, but I don’t have the time or money to do so” kinda thing. One criticism would be an ending epilogue of some sort. On my windows phone with the kindle app, it just ends. I kept trying to turn the page to the next story and it was just done. No wrap up, no thanks for reading, hope you enjoyed it, nothing. Other than that, greatly enjoyed them both. Hey Doug, I bought your book I am 44% of the way done and have definitely enjoyed it so far. Question: When you are in the lotus in Arkansas with your mom, she apparently leaves and your friend helps you drive the rest of the way. Did she fly home? It wasnt clear. Ah – I mention in the middle of the second part that Mom only accompanied me as far as Denver (“where she and Dad enjoy a life that’s totally free of thoughts like: No, I can’t take that route home. There’s a dip in the road.”) The beginning of the fourth part introduces my friend Joe, who rode with me from Denver to Atlanta. I re-read that section and it makes perfect sense, I think I was just drinking too much bourbon while reading the book. At any rate I finished it and it was great (the book, and the bourbon). I’m starting on your second one now. Just bought the PWC. Can’t wait to read it. Kudos for taking the plunge. Pretty inspiring move. I’ve always dreamed of becoming an auto journalist myself. I recently started a blog but between school and work, I have been a bit lazy with it. Only two posts so far. I hope your book inspires me to write more just like your website already does. Just finished the book and thought it was great. Real car guy stuff but from unusual angles. Interesting, well written, and in many places, laugh out loud funny. All in all, a terrific effort. Can’t wait for the next one. I’ve finally scrapped up enough cash to buy ‘Plays with Cars’. Reading via kindle cloud.. so I’ve only finished TotD… so far so good.. If the book passes muster, I’ll spring for ‘From my Perspective’ next pay day… Does amazon accept food stamps? What a fantastic read. Definitely underpriced, it is worth at least $3. I used to own a BMW and I did use my turn signals, at least occasionally. So there. Finally, did you actually have your friend sitting in the third seat waving to the Camaro you were torching at the drag strip? Sounds too good to be true. Mike – hah – thanks for the kind words! And for being the one BMW guy who signals his turns. Sadly we WANTED to run with a guy in the third row waving – but the dragstrip told us we were running to fast to carry passengers. Shame, because it would’ve been awesome. Yes! Checking it out today. If I can’t get it working, I’d be happy to send you a paper copy once they’re finished. Kobo has been the bane of my existence!!! Hi Doug. Just bought the book on kobo. It doesn’t load properly. Have you heard about this from others? I don’t know if you have said this or not but you don’t need the kindle app on your IOS device since they are both for sale in the iBook store. I just bought them both on my iPad. I can’t wait to read them both! 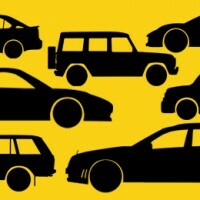 I love your writing on Jalopnik, your articles always keep me entertained. Just saw that iBookstore finally accepted them – woo! I will make another announcement when the print versions are out that you can now get it in print and iBookstore as well. I finally ordered both of your books with my new iDevice! But I am saving them for a rainy day, they give me something to look forward to. Thanks for the future reading material. PWC was by far the BEST $3.00 investment I have ever made… well my mommy made, because gift card (I wasn’t willing to risk MY hard earned dollars on you). Anyways, great book and great website man. Are you planning on writing more for Jalopnik? OK OK, I bought your book. I am sure it will be good. I just bought your book. When it was only in digital form I was sad. I am happy now! I just wanted to write and say after reading your excerpt from Plays With Cars on Jalopnik, I bought the book. Although I didn’t read the book until this weekend (had another book I was reading, sorry) I am SO glad I read it. It had me laughing so much, I have never enjoyed reading a book so much. Well worth $3! The Lotus article actually helped me make a decision between getting an Elise/Exige and Audi TT-s (Decided on the Audi after “it feels like you’ve just driven over a desktop fax machine”) I suggest this book to any car enthusiast…or anyone with a sense of humor. Hah! Thanks very much for the kind words – I’m glad you enjoyed it!! probably gonna get the one about cars, but it really got me thinking: why the other one has a tapir on the cover? malayan tapir? Is there a story about tapirs? that would be awesome, and I mean: TAPIR WITH A BIRTHDAY HAT AWESOME. Haha. There IS some tapir content in there. Hi Doug. It wasn’t easy to find a place to comment but I couldn’t help the trying after reading your story on the cross country Cannonball Run just made by the 28 year old and his new buddies and their record-breaking miracle. Read the whole thing grinning ear to ear and laughing, fabulous. I am totally thrilled that this young maniac loves cars that much in a generation that mostly doesn’t even want to drive and is terrified of the law. God bless him and may his tribe increase. I’ve done cross country three times, never for speed, and it is a fantastic voyage. Once in three days of steady driving from Vermont to San Francisco in a VW bug with another driver and somebody neither of us knew asleep in the back. 1963. No seat belts. Buzzed on life. American kids. I like reading your writings. See what I did there? Awkward. Has anyone compared you to Clarkson? Your writing style is familiar and not dissimilar, but still different (enough)? I bought and am enjoying your car book, on the toilet, where it’s meant to be enjoyed, I think, but it means it’s a pretty long read. Hah! Someone told me the segments were perfect length for the toilet. I guess that’s a compliment. I’ve gotten the Clarkson comparison here and there, though I must say I haven’t read much of his writing. Of course, I’ve seen all of Top Gear, so I understand the similarities. Brad — thanks very much for the kind words!! Glad I could make you chuckle, even though my writing doesn’t have any viral video qualities like cats doing unusual things! Hope all is well, and I appreciate the note. Perhaps you should update your “Books!” page to include this info. I almost bought this on my wife’s Kindle instead of my iPad (I would have had to fight for reading time! ), but luckily checked the iBook store first. Just snared a copy of “Plays With Cars” on Amazon. Love your writing and always happy to support a fellow Jalop. I bought both of your books and found them to be quite hilarious. I was even able to get my wife to read a couple stories from “Plays With Cars” which was quite an accomplishment, because they didn’t even feature fashion or basketball. Plus now she knows the dangers of Range Rovers.